Here’s the quick version of the Rhône Valley story: The northern Rhône is teeming with trophy bottles, while the southern Rhône produces amazing, versatile wines for every night of the week. Scroll down to learn more about the incredible wines of the Rhône Valley, or start exploring our selection now! The largest appellation in the Rhône Valley is the Côtes du Rhône. It is not a single contiguous region: Côtes du Rhône grapes are grown on many separate patches of land in both the northern and southern parts of the Rhône Valley, but the majority of Côtes du Rhône grapes come from the southern Rhône. As you can imagine, Côtes du Rhône wines come in a huge variety of styles. Most are red, though we do come across the occasional delicious white Côtes du Rhône as well. The primary red grapes for Côtes du Rhône are Grenache Noir, Syrah, Mourvèdre, Carignan, and Cinsault. Depending on the blend (and the vintage, and the specific terroir), the wines can range from tannic and robust to fruity and light. The primary white grapes are Grenache Blanc, Grenache Gris, Clairette, Bourboulenc, Viognier, Ugni Blanc, Marsanne, and Roussanne. With so many permitted grape varieties, it is difficult to generalize about Côtes du Rhône wines. That said, many of the reds offer lots of berry fruit on the palate, with notes of coffee, spice, and game. The white wines tend to be full-bodied, dry, and rich in texture. Inside the Côtes du Rhône are several smaller appellations, known collectively as Côtes du Rhône-Villages, which abide by stricter regulations and generally produce better wines. Wines from the best village appellations are permitted to include the name of their village (e.g., “Sablet”) on the label. Other familiar southern Rhône appellations include Vacqueyras, Tavel (sophisticated dry rosés), Gigondas, Lirac, and the most famous of all, Châteauneuf-du-Pape. Red wines from these southern Rhône appellations are based on the Grenache Noir grape, and these reds, like Côtes du Rhône, can range from light and fruity to dark and brooding. Many are delicious in their youth, and some will improve in the cellar for years. While the southern Rhône is made up of large swaths of land, many northern appellations are tiny hillside vineyards. The three most famous appellations of the northern Rhône are Hermitage, Côte-Rôtie, and Cornas, all of which have this prized hillside exposition. Another difference between the northern and southern parts of the Rhône is that northern reds are made from 100% Syrah. (There are exceptions, but they are rare.) In general, the red wines of the northern Rhône are less opulent and fruit-driven than the Grenache-based reds of the south. 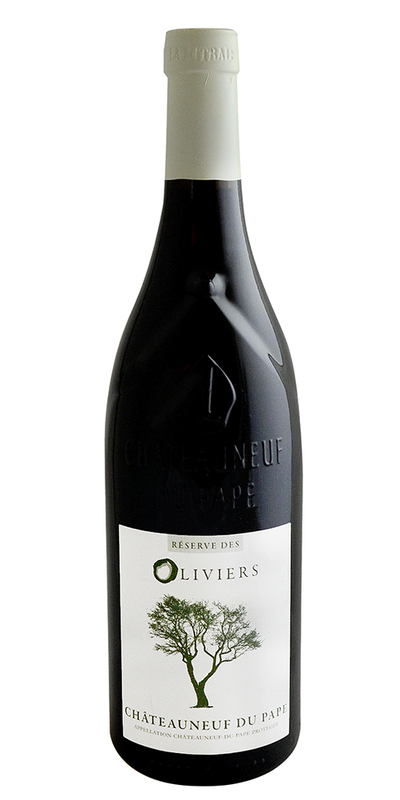 Wines from the northern Rhône tend to display the classic “savory” characteristics of Syrah, including black olives, bacon fat, black pepper, violets, and cigar ash. These wines are not for the meek. Pick up a northern Rhône red – along with a nice, bold Gigondas, a bottle of Tavel (“serious rosé”), a case of Côtes du Rhône for a dinner party, and just about anything else you’ve been craving. There’s a wine for every palate in the Rhône. View our full Rhône selection here!